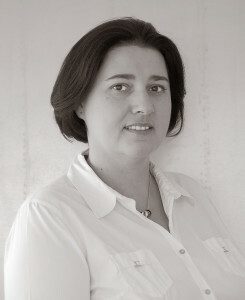 Sophie joined ADS Consultants in 2000 as a consultant after graduating. She then became a project manager and conducted several missions before becoming a Director in 2011, then an Partner in 2013 and finally a Managing Director in 2015. She has expertise in change-management and project-owner support. She works with Permanent Control managers to optimise processes, and to implement and monitor regulatory projects. She works with risk-management departments, finance departments, bank back-offices, factoring and asset-management firms as well as industry. For almost 10 years, he was responsible for the accounting and financial auditing of subsidiaries of Group’s listed on the CAC 40. In 2007, he became the Accounting Director of a regional bank. He joined ADS in 2011 as a Director, becoming a Partner in 2013 and finally a Managing Director in 2015. He has solid, multi-sector experience in accounting, specific technical issues such as consolidation, regulatory requirements and control systems. His expertise in organising accounting systems and departments has enabled him to define and implement secure, optimised organisational structures. He primarily works with financial departments in banks and insurance companies. Philippe worked for over ten years as a management controller in an IT-services company and then an industrial group. He then became Managing Director of an SME before joining ADS Consultants in 1998. 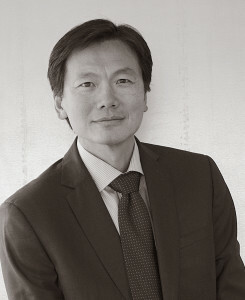 He became a Partner in 2009 and was appointed Chairman in 2013. His particular fields of expertise are management control and management. He also has acknowledged expertise in process management and the management of project-owner support teams, particularly for IS optimisation projects. He primarily works with national and regional banks, industry and agricultural cooperatives. Emmanuelle joined ADS Consultants in 2001 as an Accounting and Administrative Assistant. Her commitment, skills and desire to take on greater responsibility rapidly led to her being appointed the firm’s Financial and Administrative Manager. She became a partner in 2013. 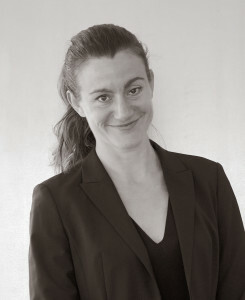 Drawing on her experience and expertise, she provides administrative, accounting, legal and human-resource management assistance for small- and medium-sized companies in the Paris region. Jean-Louis has over 30 years’ experience in the banking sector, having worked for several different groups. During this time, he managed projects involving mergers, migrations and change management, within the framework of his operational and managerial responsibilities. Today, he works with prime contractors and project owners and is specialised in electronic banking, payment and debt recovery systems. Thierry is an engineer with 30 years’ experience in banking and consulting. He joined ADS Consultants in 2013. He is specialised in internal control, compliance and operational risk management. His expertise covers management systems, as well as process and organisational optimisation. He has extensive experience in managing complex projects in an international context. 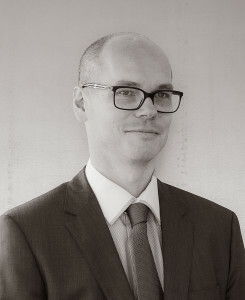 Eric joined ADS in 2011, after 20 years’ experience as a Risk Manager with Alcatel and Axa. He is specialised in managing performance improvement (people and organisations) projects and is also an expert in the insurance field. He has implemented complex control tools for business process re-engineering projects. He primarily works in the insurance and mutual health insurance sector, and with SMEs. Serge has been the director of a Coaching and Management Support firm for 15 years. He helps managers of industrial companies achieve their growth objectives. As an expert in project-feasibility studies and business development, he works with SMEs on all organisational, technical, commercial and financial aspects. He has a good knowledge of French Overseas Territories particularly the Reunion Island. Lionel was a project manager and then a consultant for a banking-software publisher. Following this, he managed an IT Department in the health sector from 2004 to 2013, before joining ADS Consultants. He has expertise in the management and implementation of training programmes. He also works on projects involving the alignment of IT systems with company strategies. Pierre worked on consulting missions for specialist consulting firms and software vendors for over 15 years before joining ADS in 2013. He is specialised in implementing solutions involving business operations and organizational aspects, in asset management and financial risk management. He works in the fields of banking, insurance and asset management. José Miguel founded ADS in 1996 and managed the firm until 2013. He then became a preferred Star partner. He is an expert in the technical architecture of accounting systems, computing and IT management. He works with company directors and managers as a coach, particularly in the field of change management. His dual culture facilitates the organisation of international projects. Catherine started out as a project manager in a multi-national company in the IT equipment and services sector and then became Head of their dealer network for the South-West of France. She joined ADS Consultants in 2012 and primarily works on internal control and organisation projects for agricultural cooperatives and SMEs in South-West France.